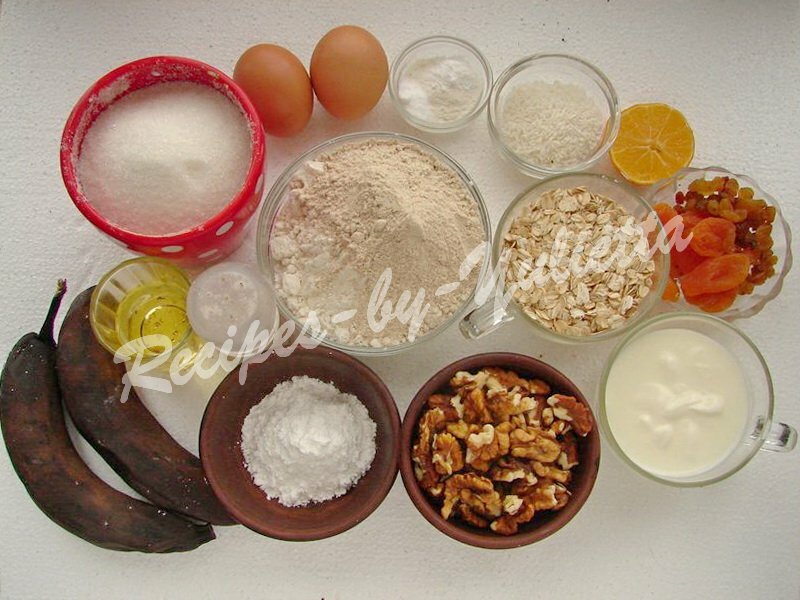 This is a wonderful easy, tasty and healthy recipe of banana oatmeal cake. 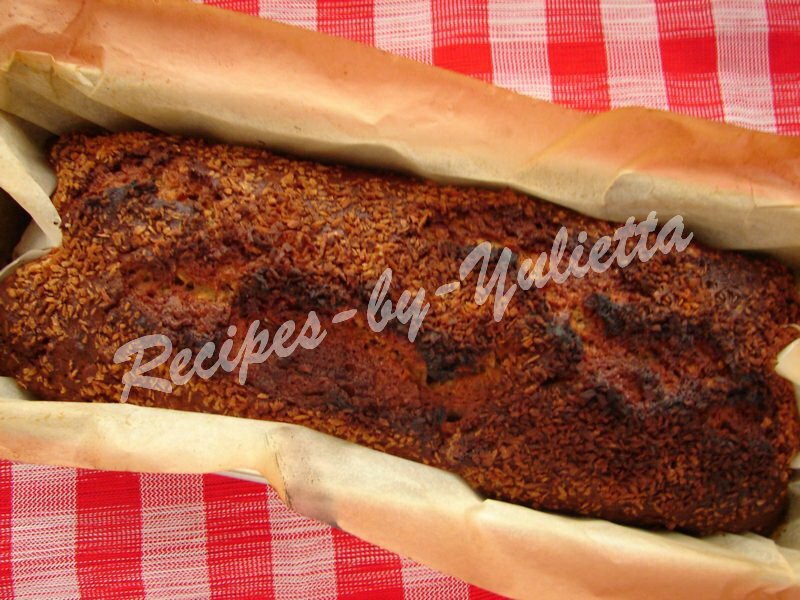 Just bake it! 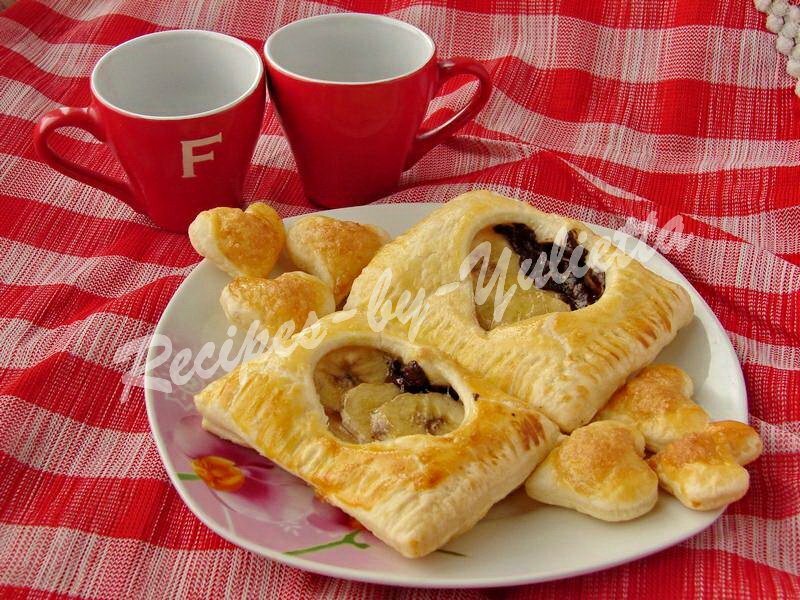 And you will have another favorite recipe of homemade pastry. 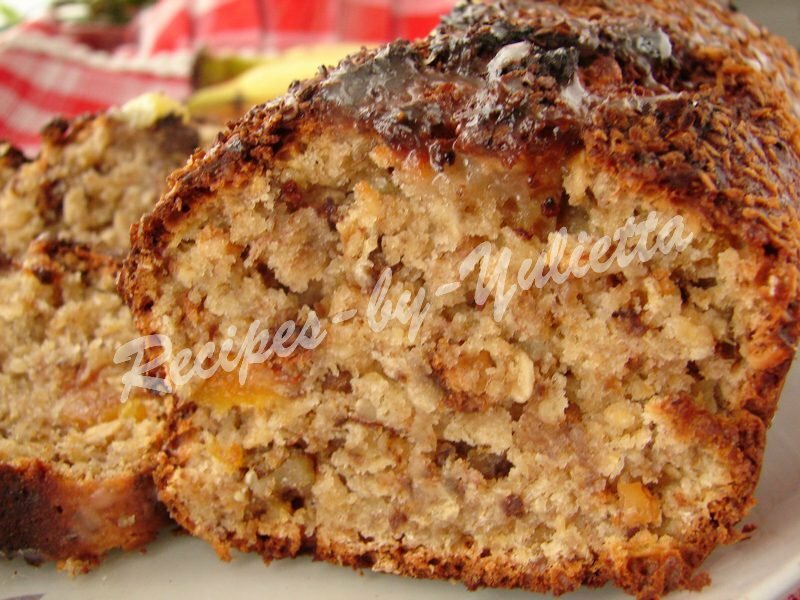 Banana oatmeal cake with walnuts and dried fruits combines an morning portion of porridge, some fruits and nuts, so it is very nourishing and will charge you with energy for a while morning! 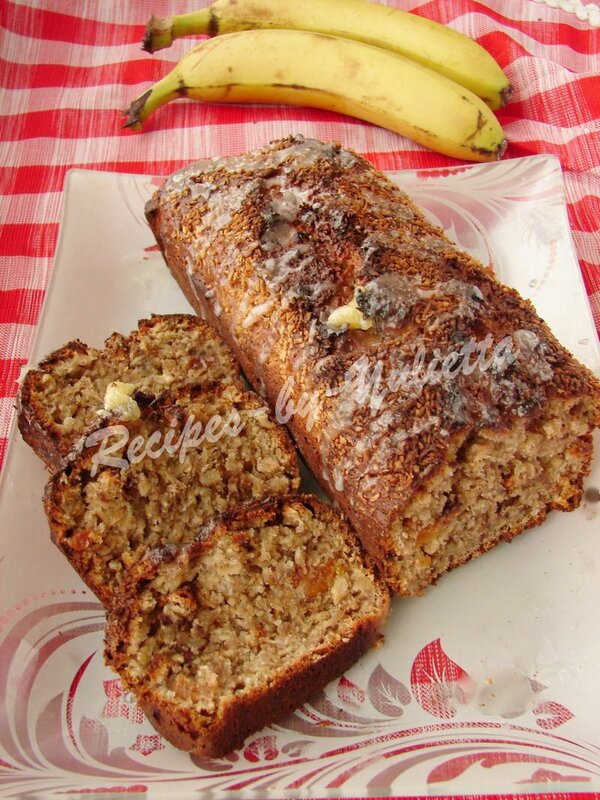 Banana cake with oat flakes is liked by adults and children! 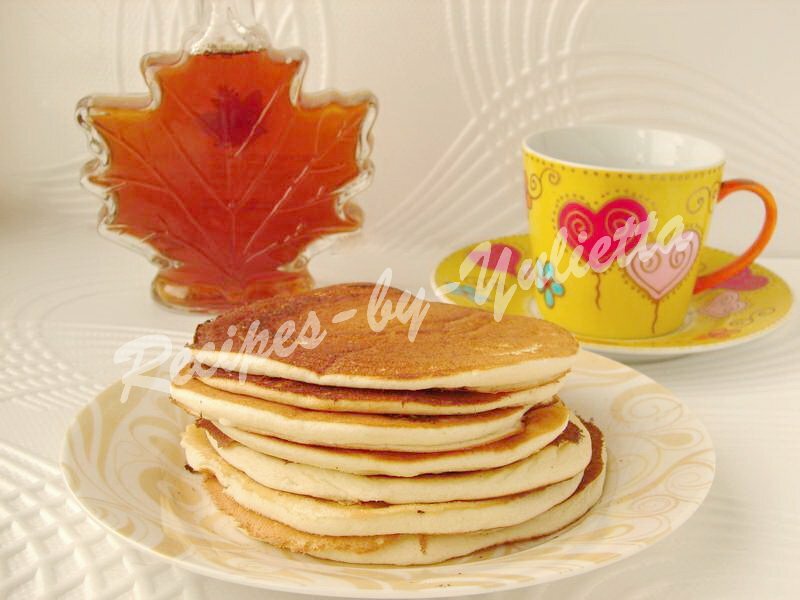 And the flakes are not feel in the cake. If you don’t know, from what it is made, you won’t guess. 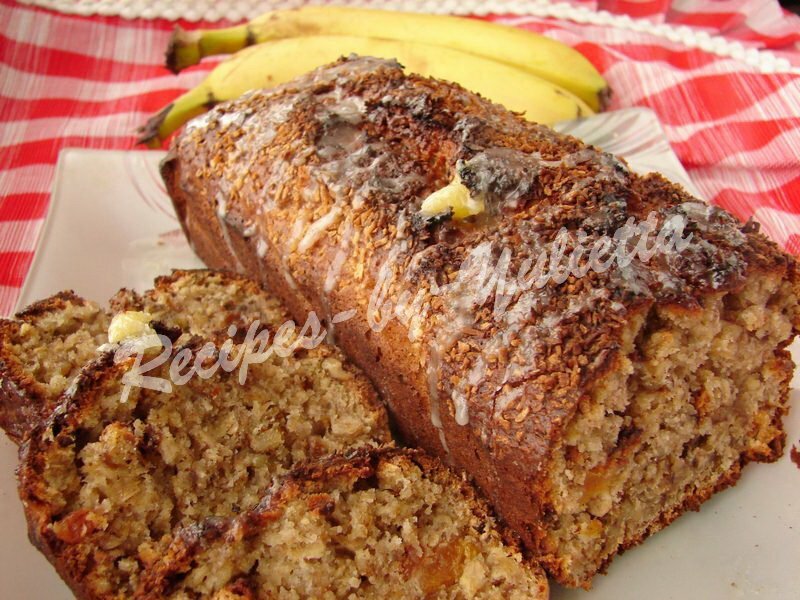 Another advantage of this recipe – that you can use overripe bananas with dark peel, as in the recipe of Banana Bread. And if you’ll grease it with butter, it will be even more delicious! 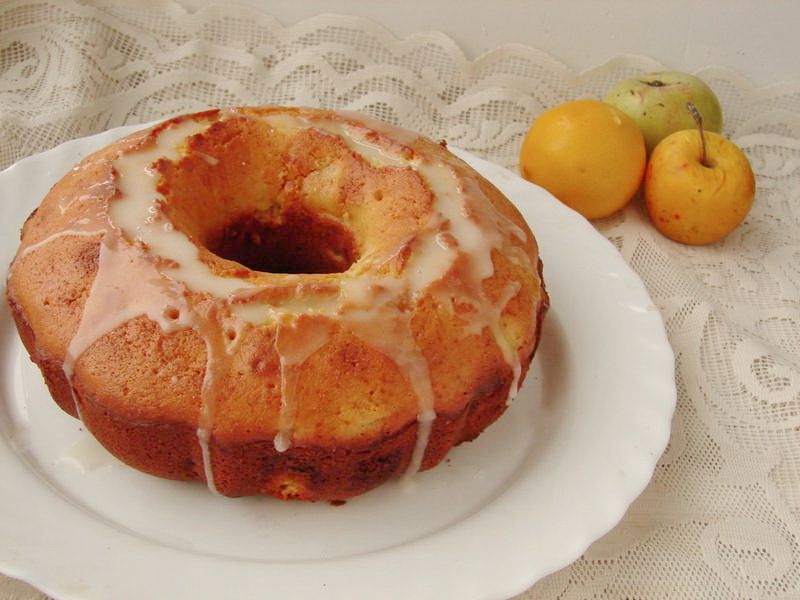 1-1,5 tablespoon of lemon juice. You need two boils. 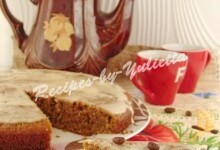 Recipe of this cake is the easiest you even know. 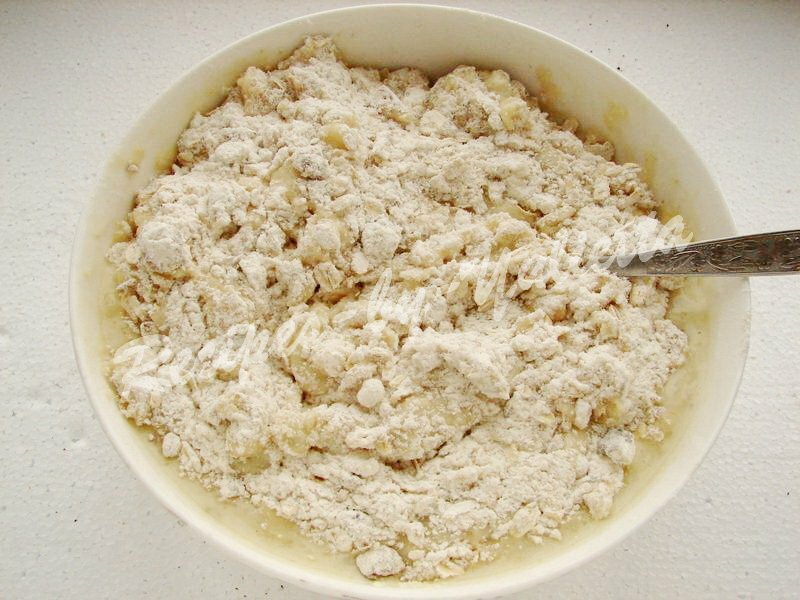 Mix in the first boil all dry ingredients: flour sifted with baking powder and soda, sugar and salt, oat flakes, vanilla and shredded walnuts. 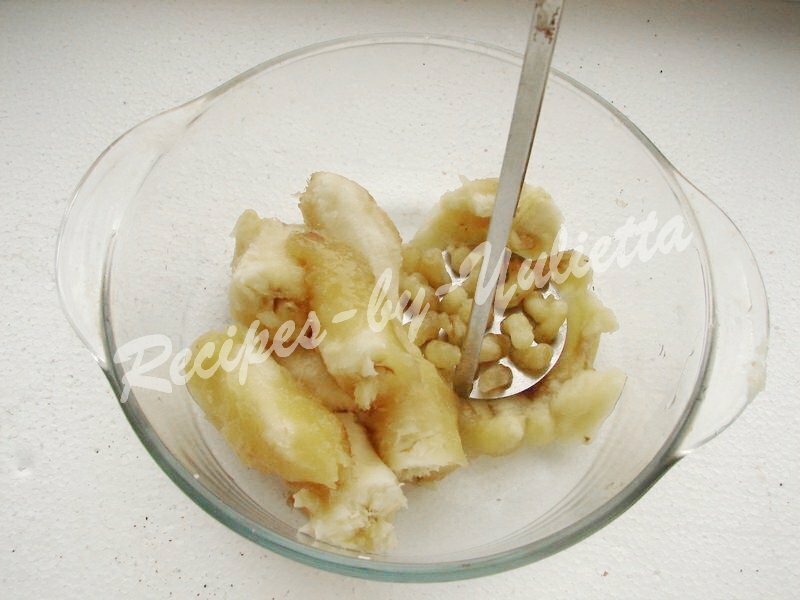 Puree bananas in another boil. 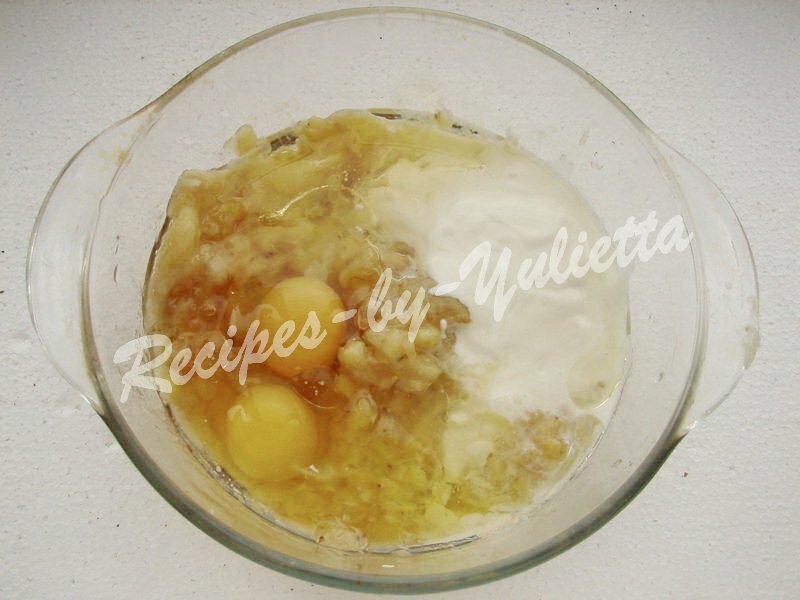 Add all liquid ingredients: eggs, oil, buttermilk and mix carefully. 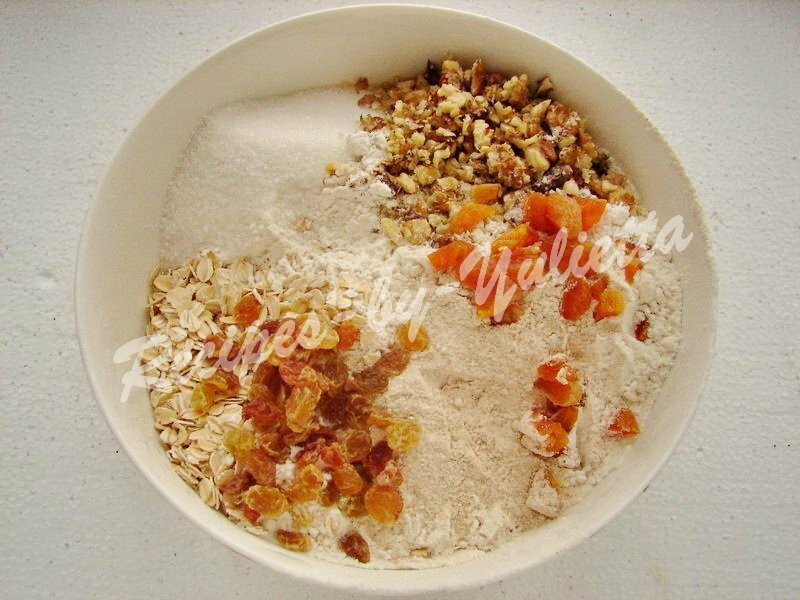 Combine dry and liquid mixes, add dried fruits and stir. 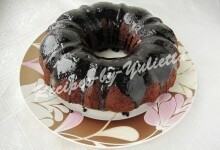 Cover the baking form with oiled paper and put the dough. 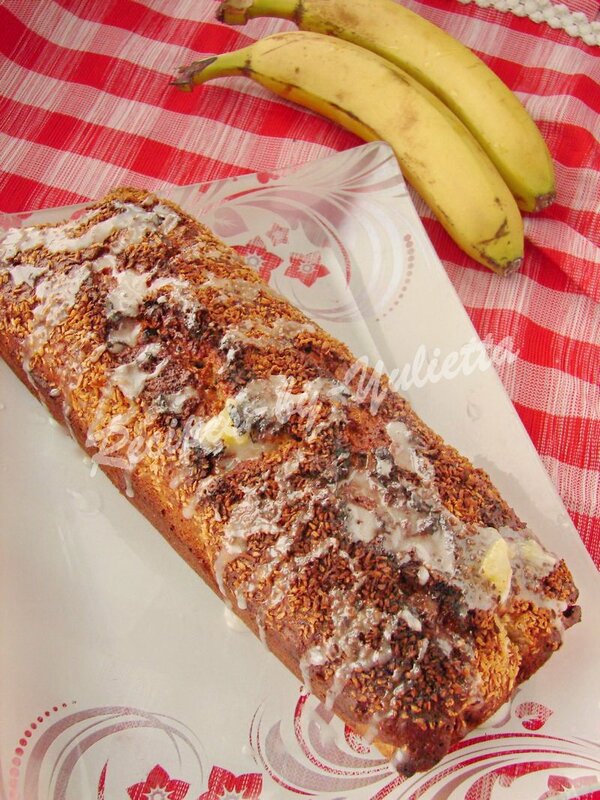 Sprinkle with coconut chips. 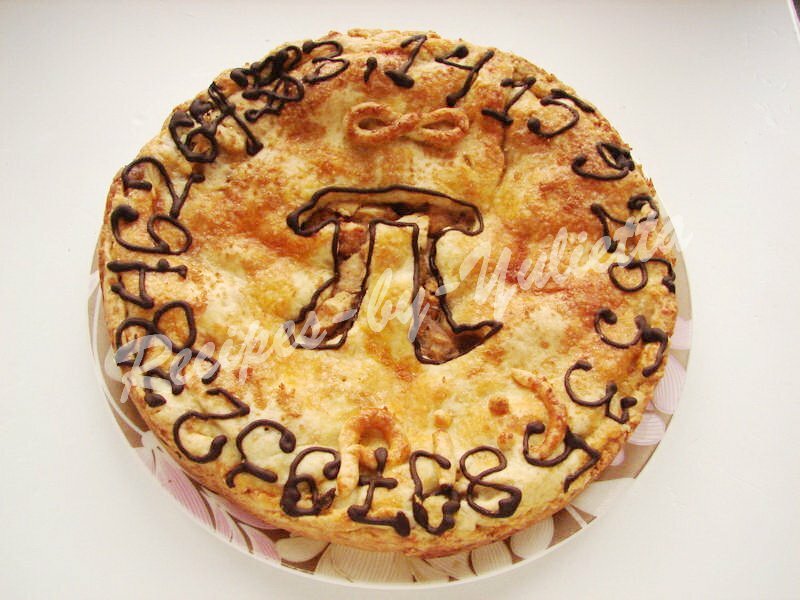 Put into the oven preheated to 180C (356 F). 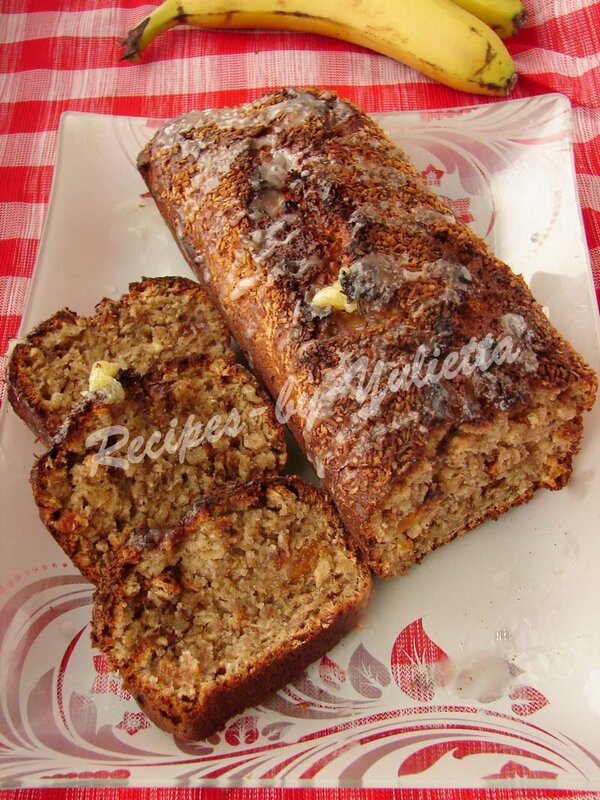 Bake banana oatmeal cake during 1 hour or a little longer – until golden brown and dry stick. 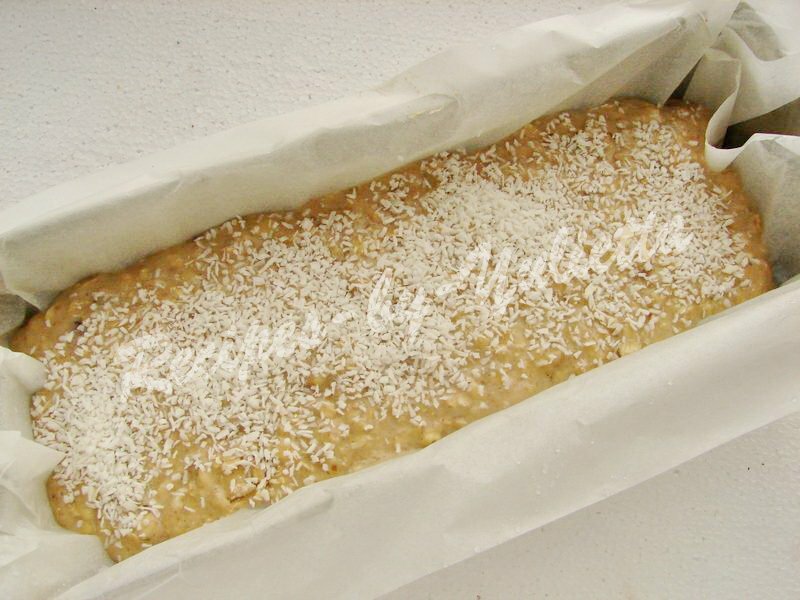 Let the cake cool in the pan during 5-10 minutes, meanwhile make sugar lemon fudge. 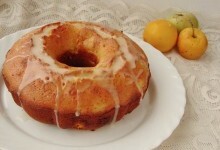 Mix sugar powder with lemon juice till needed consistency. 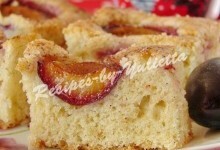 Remove the cake from the pan, take out the paper and put the pastry on a plate. Pour it with the fudge. 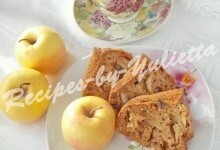 Cut the cake in slices 1,5-2 cm thick and invite your family for a tea!